If, like me, you’ve ever lived in the rural southern United States, then Midnight may not strike you as a horror movie as much as a trip down memory lane. Written and directed by John A. Russo, co-writer of Night of the Living Dead, the film is basically backwoods exploitation in the vein of The Hills Have Eyes, but with additional religious and racial connotations. Think In the Heat of the Night meets Texas Chainsaw Massacre. 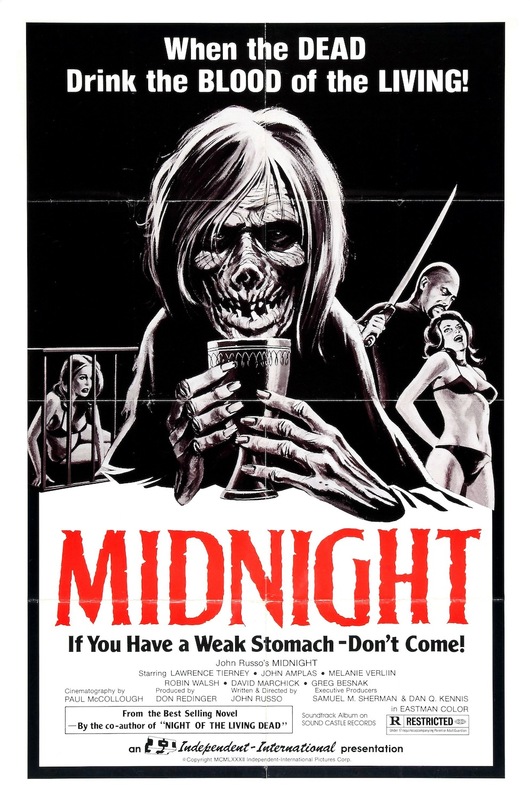 Midnight follows androgynous runaway teen Nancy (Melanie Verlin) as she flees the clutches of her stepfather (famed character actor Lawrence Tierney), who yearns to be a “dad with benefits.” She’s picked up by two guys in a van (Mistake #1), white man Tom (John Hall) and black man Hank (Charles Jackson), and they head south (Mistake #2) on a road trip to Florida (Mistake #3). Presumably because Hank and Tom have a tendency to steal groceries, they avoid the safety of a highway (Mistake #4) and end up stopping for gas in Pohick County, USA (Mistake #5). A family of Satanists, after dispatching with the reverend and his daughter without so much as a “Hail Satan,” OF COURSE catches up with them and has a little backwoods fun. 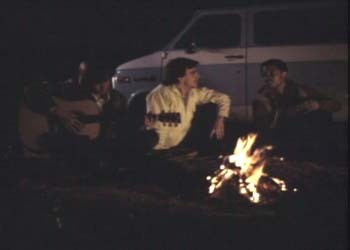 The racial element of Midnight (including a conversation in which Hank criticizes Nancy for singing a “slave song,” saying, “A white chick like Nancy can’t have the least idea of the feeling behind a black spiritual”; he mentions nothing about her flat booty) and Nancy’s conflict of faith are the only fresh facets in this decent, but been-there-done-that fare. Had the cast of bad guys been more of the inbred mutant variety than the rather tame I-wear-overalls-and-have-a-GED variety, the sense of danger would’ve at least been kicked up a notch. There was a high rate of turnover for assistants in the Great Cooter’s magic act.